‘Dscoop Open’ to focus on driving profitability, revenue opportunities and long-term success. The three-day, ‘Dscoop Open’ event will feature 50 different educational seminars, designed to inspire and inform delegates looking for new ways to drive business growth and profitability. The seminars will be presented by world-renowned experts and leading digital print providers from across EMEA. The comprehensive event schedule will also incorporate numerous opportunities for delegates to network with hundreds of industry peers and Dscoop partners – a feature of the event widely recognized as one of the most valuable benefits of Dscoop membership. On the first day of the conference, HP will host visits to local customer sites, providing insight into efficient, innovative digital print operations. Throughout the event, it will also showcase a record number of solutions and remain on-hand to answer questions and offer technical expertise. Other highlights of ‘The Dscoop Open’ include 50 Dscoop partner stands in the ‘Solutions Showcase’, displaying and demonstrating a wide-range of business-enhancing products and services. Delegates will also be able to learn more about the latest sales and marketing tool kits, created exclusively for Dscoop members. The new ‘Tell Your Story’ kit has been designed to provide a clear roadmap to execute a complete 12-week step-by-step sales programme - from planning to sales conversion and lead tracking. 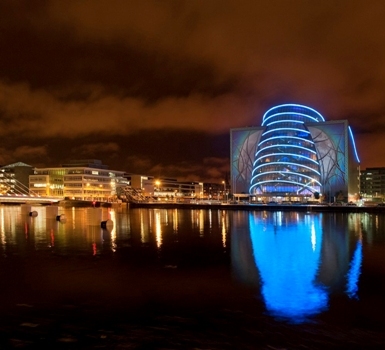 To book tickets for ‘The Dscoop Open’, visit www.dscoopemea.org/registration and register before 22nd April 2015 to take advantage of the early bird, discounted ticket price.